Nothing is more frustrating than spending time, money, and resources on recruiting a driver, taking them through the application process, running the proper background checks, and then offering them the job, only to have them turn you down for another carrier. Did someone make them a better offer? Could the recruiter have done anything different to keep their interest? Why did they continue through the entire process only to then decide not to choose your fleet? All too often these questions are left unanswered. What kinds of things can you learn from drivers who do not take your job offer, and what is the best way to find them out? As the pioneering company for the phone-based exit interview and the first to market these services in the trucking industry, People Element (formerly Strategic Programs) developed a niche for reaching drivers after they quit and understand why they left, helping their former employers take action and improve turnover. Using this same methodology, we were able to develop something we called a Recruiting Fallout Study to determine why drivers did not accept an offer, why they quit the application process, and why they did not show up for orientation. Think of it as an exit interview from the recruiting process. Why did they accept another position? Which company beat you out? Why did they feel the other company had a better offer? Why did they quit the application/recruiting process? Did something scare them away? Did another company move faster while they were eager for work? Why did they not show up to orientation? Why the last minute cold feet? Will they consider rescheduling for a new orientation date? What was the experience like with the recruiter? Were they perceived to be honest? Were they timely in moving the process along? Did they build a relationship? Did they establish trust? How do prospective drivers view the recruiting process at your fleet? Is it too long? Too short? How do drivers view your pay plan, benefits, mileage offerings, etc.? How do drivers view your opportunities compared to other fleets? How is your company perceived in the eyes of prospective drivers? Are they happy with their decision? If not, will they consider coming back to give your fleet a try? With all of the data available in your applicant tracking system such as Tenstreet or EBE, you have the ability to look at this information by recruiter, by previous experience, by geography, etc. to determine if any trends appear by the various demographics and how you can adjust your recruiting strategy accordingly. You will be able to coach each recruiter on their own individual opportunities to improve as well as addressing the overall strategy for the entire department. Given the high demand and low availability of drivers, sharpening the pencil on your recruiting practices is more important than ever. 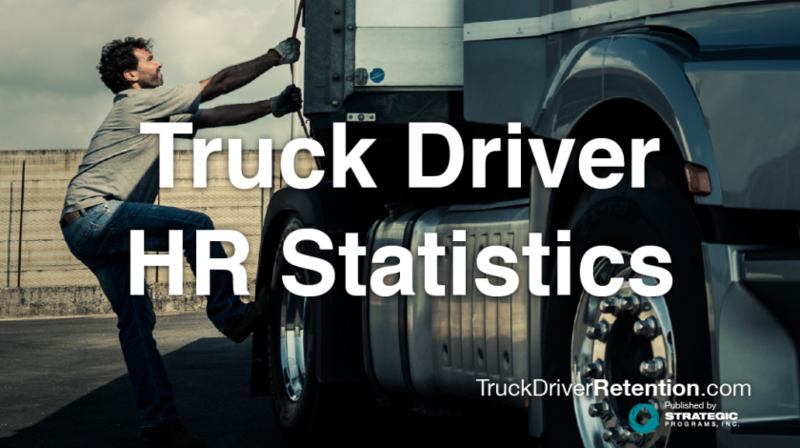 Given the increasing costs of driver recruiting, why not maximize your investment and learn from those who did not take the job to make sure you do not make the same errors again moving forward? A small investment to learn from past mistakes will keep your company competitive in the tight driver recruiting market in the future.